"I was on my morning jog in the Mission district and noticed someone carrying trays and pans of various sizes into a building from a truck labeled "Food Runners"; obviously a donation. I walked inside my house, flipped open my laptop and looked up "Food Runners." The rest, as they say, is history." History indeed. Mary signed on as a Food Runners volunteer that day. Within a ten days of performing her first food run, Mary volunteered for a weekly run to the Castro Street Farmers Market. Every Wednesday evening, as the sun set over Twin Peaks, Mary and her partner Jonathan gathered donations of farm fresh produce offered by the market's vendors. The donations routinely filled Mary's car to bursting. 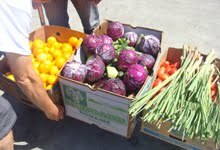 Mary and Jonathan joyfully delivered the bounty to the Father Alfred Center in SOMA. 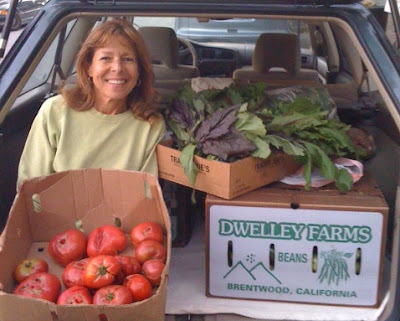 Mary kept the Castro Street Farmer's Market run for two and a half years. When a new job changed Mary's schedule, rendering it impossible to continue with the Castro Street Market, she immediately signed up for a new run. 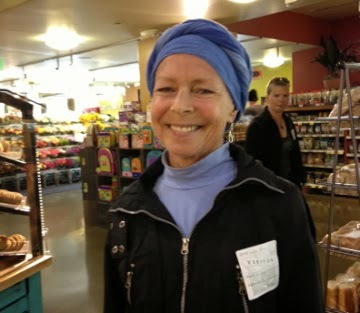 Every Saturday morning, she and fellow volunteers Dawn D, Dede T and Lisa M would meet at Whole Foods Potrero where the typical weekend donations require several cars to accommodate the load. Mary did the Whole Foods run for over two years. "Every week since I joined Food Runners," mused Mary about a year after signing up, "I have felt humbled as well as fulfilled to know that I have this small chance to give back to the community that has, for years, supported me." Food Runners felt humbled in return to have a citizen like Mary in its ranks. Mary called about six months ago stating with irritation that she needed to take a Food Runners break for a while due to health issues. Mary passed away quietly at home last week. In Jonathan's words, "she passed, like she lived, with grace and dignity, surrounded by loving family members." 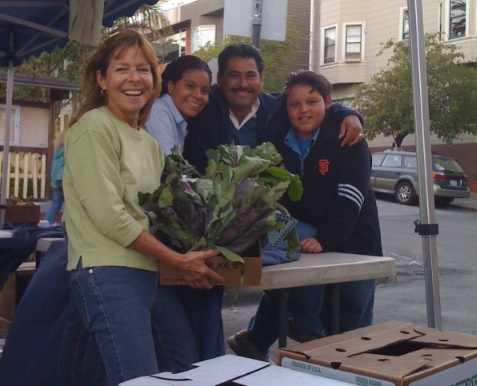 Mary will be sorely missed by Food Runners and by the many she touched through her efforts as a Food Runners volunteer. Farewell, lovely Mary. Your star will shine forever bright. Is your child's school holding an auction or other large event this spring? Do you know where the excess food will go at the end of the event? Food Runners is available to pick up the leftovers and make sure they get delivered to an agency feeding those in need. Call 415-929-1866 to make arrangements. It only takes a moment.